After OST15, and several OST1 system delivered, now another standard oill sludge treatment system sent out to an Asian client. After some site experience, the OST5 system also has been upgraded, in details, to have better result, and more user friendly. The basic design is same as other systems, to do 3 phase separation. The first step would be blending, to have one or two tanks, mixing the oily sludge with water / diesel, and heating the fluids up, to make it more flow-able, then been pumped thru the shale shaker, after separated by the shale shaker, where bigger size particle size are separated, and fluids are picked up by centrifuge feeding pump, then the decanter centrifuge separate the small particles out, the discharged fluid, which contains oil water and small portion of solids. This part can flow into the disc stac or transfered by a centrifual pump, to the disc stac separator. After the disc stac separator, you get the 3 separted result, solids / sludge, oil, and water. Well you might be wondering, what kind of result we are talking about here, normally for solids, the remaining oil content is 1~3%, not enough to discharge directly, based on most of the laws all around the world, which means the main purpose of this system is actually REDUCE, not the final. As for oil, BSW will be less than 3%, for water the remaining oil would be about 1000ppm. I believe DAF or filter will be needed in the following steps. For this specific project, the client knows us long time ago, and have been discussing with us for the details, unitil we showed them more videos, and after they checked a few sites, they finally come to an order. We also warmly welcom all of you who is reading this post to visit our factory, our booths, our sites uh where need to be approved before we go, all others you can freely to visit anytime. If you keep tune on GN posts, you may already realized many orders to Middle East, if you experienced the oil price crisis, and noticed what happend all around the world, do not ask me why. It is just another chance we grabed, so when more people count on pennies, care more about how to choose a good quality competitive price product, they come to us. And that is why GN’s turnout keep rising up, though the speed is lower. We have been discussing this project with client from years ago, and after a few gega bytes of document applied for vendor list, we finally get the order. While as always, all hard work pay off. The design of tandem shaker is also because of the transportation, installation, a skid save hassels, which means save money. * Patent shale shaker deck angle adjustable while working, mechanical deck angle adjustment with reliable performance. * Patent tighten rubber sealing for shale shaker deck and screen, long life and easy replacement. * Shale shaker bottom deck made from Stainless Steel for long service life. * Heat treatment on complete shale shaker deck for High G force operation. * Flexible feeding type including Weir Feed, Top Feed, and Hopper Feed for different applications. GN Solids Control is experienced in solids control system design, so even when you only buy the equipment, we also are able to be helpful on the individual equipment design etc to help you to save some work on the final step, the system production. Drill Waste Management system, more often referred as DWM, is a very important unit in drilling projects, it normally contains Vertical Cuttings Dryer or called Verti-G, and a decanter centrifuge, each equipment comes with a screw pump, the one for cuttings dryer is for flushing, the one for decanter centrifuge is feeding, then the screw conveyor, to feed the cuttings to vertical cuttings dryer. The systems or equipment to Russia is normally come with containers, and the main reason is weather proof, in the horrible weather place, you got some protection. It also bring some extra bonus, i.e. easier for transportation, it is a whole unit, so easier for on site installation, less rig up / rig down time. 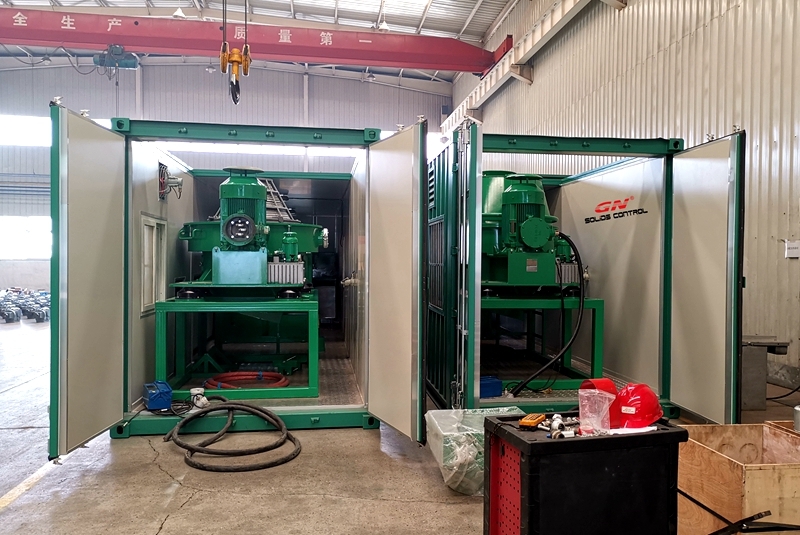 If you are worrying about the maintainces, then we did worry when we design it, except the overhaul time will be a bit complicate which you will need bring everything out of a container, and put it back; all the other maintaince is ok. So as soon as the equipment is robust, that is not a concern. * High G Force up to max 3000. Big Volume Design. * Bowl Material Duplex Stainless Steel 2205 made from centrifugal casting. * Conveyor Wear Surface: Tungsten carbide tiles .The life is much longer than hard surface. And all tiles is interchangeable for easy maintenance. * Preasurized Explosiong Proof with PLC and HMI control for automatical operation. * All the bearings for the centrifuge are SKF brand premium bearings. Now more and more clients from Russia is using GN equipment, so do other countries. GN is a manufacturer, but also a flexible manufacturer to produce some equipment ready for client to use, and easier to use. For all the work beneath the surface, Microtunnelling, Pipe Jacking, Horizontal Directional Drilling, mud is functionally aiding on the drilling work. It helps the work efficiency and saves the money of buying extra chemicals. Both eventually increase the contractors benefit. * Complete line Mud System: GNMS-200GPM / GNMS-350GPM / GNMS-500 GPM / GNMS-1000GPM / GN1500 GPM Self-Contained Mud Recycling System. * Cost Effective Equipments integration:Complete drilling mud equipments from a single source-GN Solids Control Factory. * Fast moved compact system:Small footprint design with fast connection for removable parts and most parts fixed while traveling meet transport regulation. * Assured customer service:We can send our experienced engineers for installation,and training up customer engineers. * Mud Tanks Flexible Options:Skid Mounted or Trailer Mounted or Hydraulic Jack Up mud recycling Tanks available for your options. 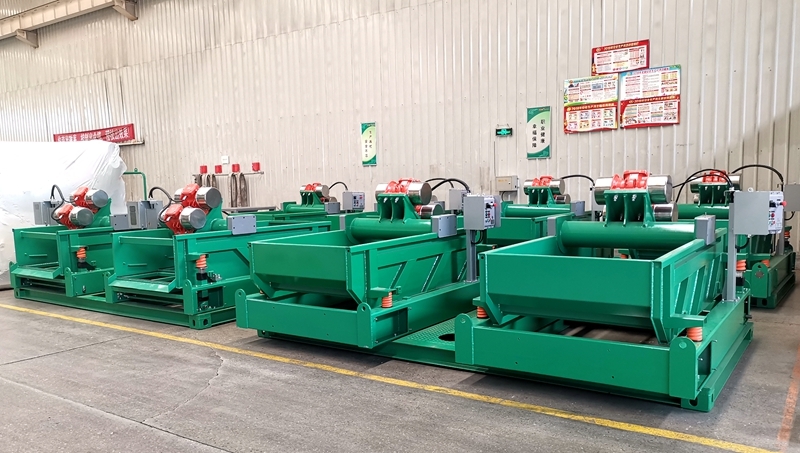 GNZS752 shale shaker is with two panel shaker screens. The shaker is the first stage solids control equipment for coarse cuttings removing from drilling fluids. GN is also able to manufacture the shale shaker with 3-panel and 4-panel shaker screen with larger treating capacity. Shaker screen is now one of GN main products due to it is a consumable parts for mud recycling. GN set up own factory for fabrication of screen for better quality control and cost saving so that to provide customer with reliable and cost competitive products. GN is able to supply replacement screens for almost all popular brand shakers. GN also showed the transferring pump at the exhibition. Sand pump is widely used in mud recycling system for feeding to cyclone unit and for mud mixing. GN new developed solid vacuum pump is especially for high solid content sludge transferring with fully pneumatic driving system for safety operation in hazardous area. Many visitors showed interesting at GN oil sludge treatment system that can be used to treat the oily sludge coming from drilling waste, refinery plant waste and oil storage tank bottom remaining. 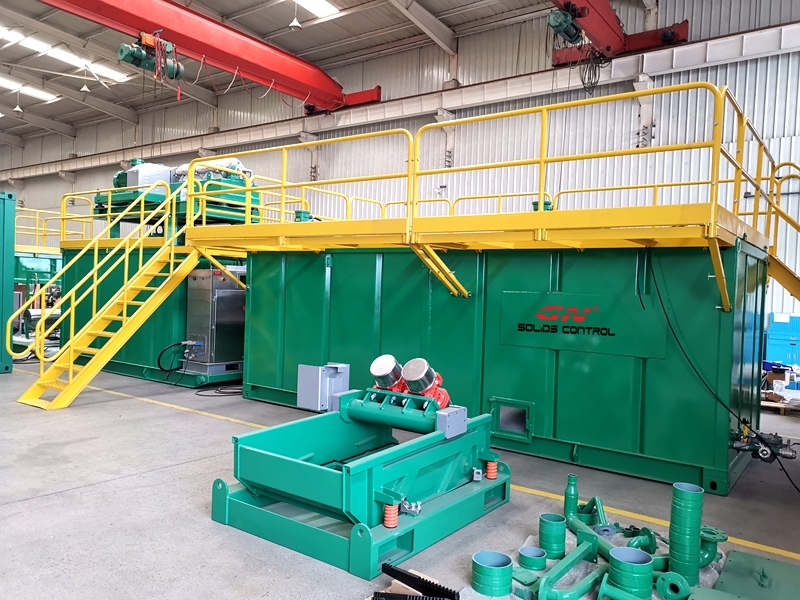 GN makes the oil sludge treatment system modularized with premixing skid, coarse solids separation skid, fine solids separation skid and 3-Phase separation skid for valuable oil recycling and waste discharge reducing. Visitors stop by GN booth and watched the oil sludge treatment system working video. Oil sludge treatment system will still be the high light. Different areas and different clients has different oil sludge and final requirements for the oil sludge treatment, following questions are needed to be clear for GN to provide the best proposal for your oil sludge treatment solutions. What is the origin and geographic location of the waste sludge (drilling, refinery, other)? What is the makeup of the oil sludge (percentage of oil, water and solids)? What volume of oil sludge is to be treated? How long you need to complete the treatment of the oil sludge? What is the challenge or problem of the current situation? What is the target to achieve for the final oil, water and solids? What process / equipment is being used on location at present for the oil sludge treatment? How is the performance now? What’s your budget for the oil sludge treatment plant? What equipment available from GN for Oil Sludge Treatment? Decanter Centrifuge for fine solids separation or water and oil separation. Oil Water separators for two phase liquid separation. Thermal desorption unit for minimize the oil on the solids down to 0.3%. More and more offshore projects now choose GN products, before no one likes Chinese products for offshore is because of reputation, not enough confidence, and whenever count on the hassles, pay more and get EU / US products, plus, do you have the certifications. The drying shakerunit is one of the main equipment in waste cuttings management system. It is used for further treatment of the drilling cuttings discharged out from primary solid control shale shaker. 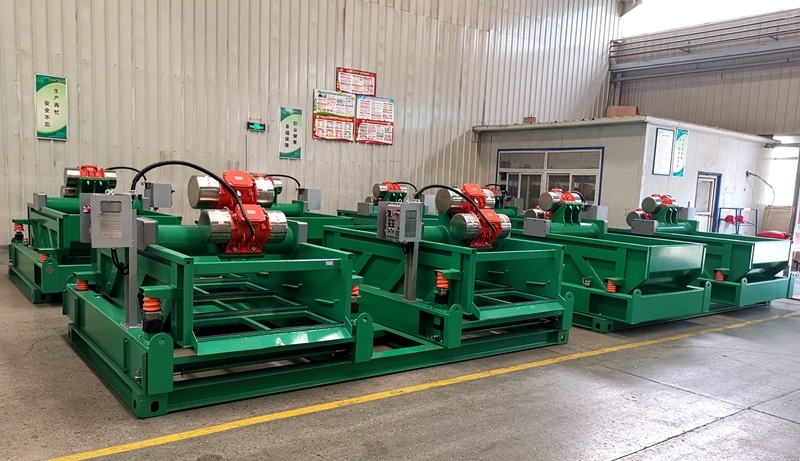 Comparing with the normal shale shaker, drying shaker has a large vibrating G force that makes the shaker recover more drilling fluids from cuttings. 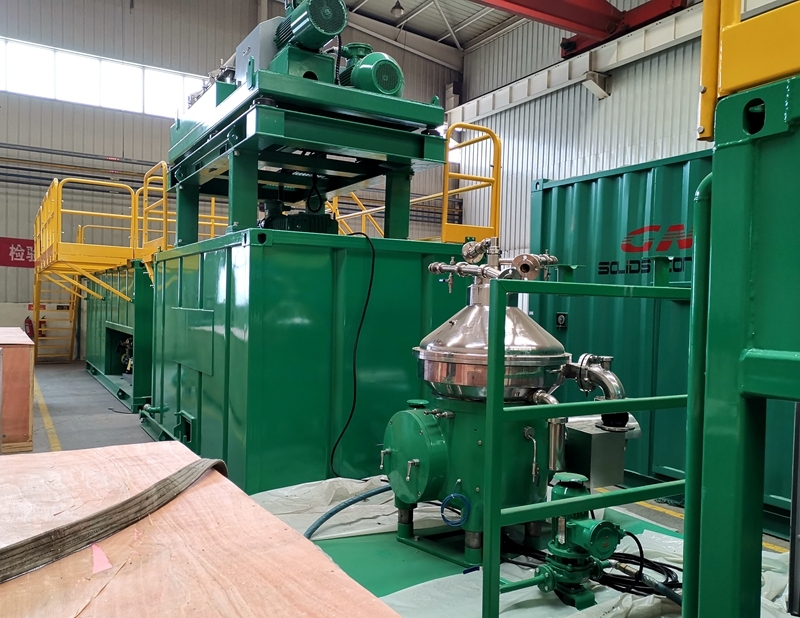 By using the drying shaker, the drilling fluids recovery efficiency would be highly increased and less waste discharged. To prevent the drilling fluids spraying out of the shaker deck and contaminating the area nearby, the drying shaker deck is designed to be cover with steel plate on top. To increase the drilling mud recovery efficiency, GN published the VIST vacuum shaker screen system that can be used especially in offshore project. To make sure the shale shaker comply with offshore application, GN also invite, CSC come to our yard, assist on the certificates on lifting parts. As we get more and more experience on offshore projects, soon enough we will be able to offer even more products, with more competitive price. Well as you know it is just after the Chinese New Year, good & fresh, ready for your visiting. In past year, some drilling companies coming from India contacted with GN Solids Control for inquiry and successfully made deal with GN. In order to get more feedback from these clients and show more about GN to India market, GN is going to show at PetroTech-2019 in coming February. 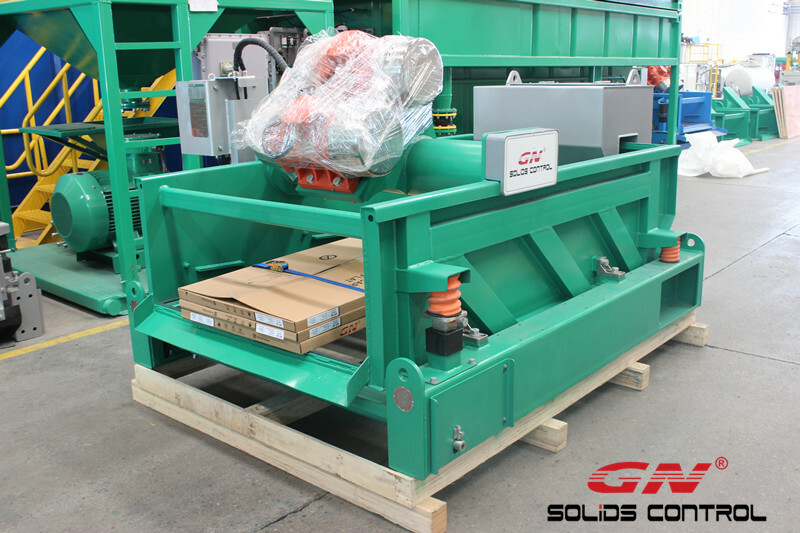 GN shale shaker is designed with simple structure for easy operation and shaker screen replacement. Fully heating treatment strengthens the shaker deck for long time running with a high vibration G force. Screen supporting frame is a critical part of the shale shaker. To guarantee the stable performance of shaker, GN use stainless steel to make the screen support frame, and the thickened U type steel is welded on the frame for embedded the rubber sealing strips. This sealing technology performs excellently in both sealing and rubber strip replacing. GN is able to provide shale shaker with screen of 2 panels, 3 panels and 4 panels for different application and capacity. Shale shaker screen is consumable part that used in mud recycling system for coarse cuttings separation. GN now is able to supply almost all the popular replacement shaker screens used in oilfield worldwide. Per comments from clients, GN screen is praised for the quality and performance, the reasonable price is well considered for the cost saving purpose. GN is making centrifuge pump with nodular cast iron pump casing and impeller for long time working and anti-wearing features. The pump is widely used in mud system for feeding to cyclone and mud mixing. All wear parts of GN centrifugal pump are interchangeable with world famous brand pump. GN sludge vacuum pump is a kind of pump fully driven by air. It is ideal transfer equipment working in hazardous area. By connecting suitable air compressor, the pump can transfer almost all the types of material like liquid, sludge, powder, and even sand. Some of GN clients doing oily sludge treatment business had given good remark on this pump. For a long time, we know pumps is not our key business, until we know how good Mission have done, and how good Netszch have done. Now we are doing more and more pump business, and a new branch name GN separation is now kind of doing this business solely, with transfer equipment. The mud transfer pump is an indispensible media for the mud flow from one place to the other. And the pump also provides the power or pressure for mud getting into the equipment for better treating result. GN hasbelow 3 types mud transfer pump is widely in mud engineering and other industries. 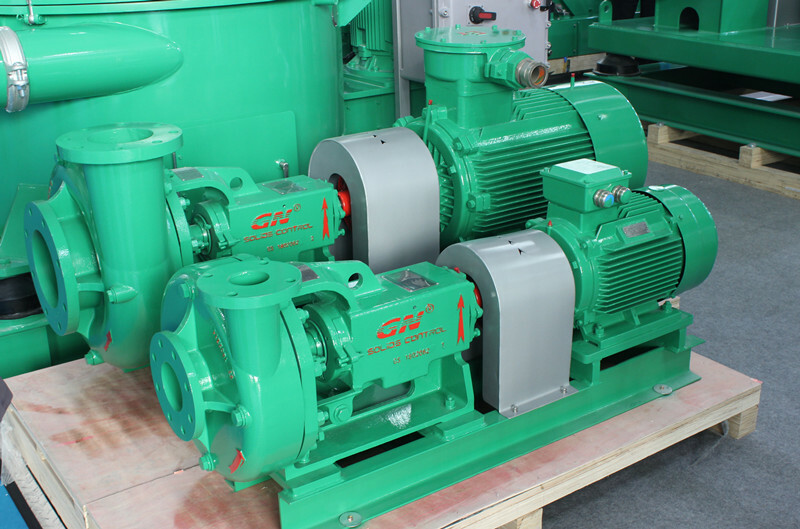 Centrifugal pump– in solids control system, the centrifugal pump could be used as the feeding pump to the hydrocyclones, the pressure produces by the pump will give the mud a high speed when getting into the cyclone for better separation performance. It can also be a mixing pump connecting with venturi hopper for mud chemical supplement. GN centrifugal pump is using nodular cast iron as the material of pump case and impeller for long service life. Screw pump – GN provides single stage screw pump that is mainly used as the feeding pump of the decanter centrifuge due to the stable flow rate. GN screw pump is coming from the Germany brand Netzsch. Sludge vacuum pump – GNsludge vacuum pumpis a multiple function pump that could transfer liquid, sludge, power even sand. It is a fully pneumatic driving pump without any electrical components, which makes it ideal equipment for hazardous area application. 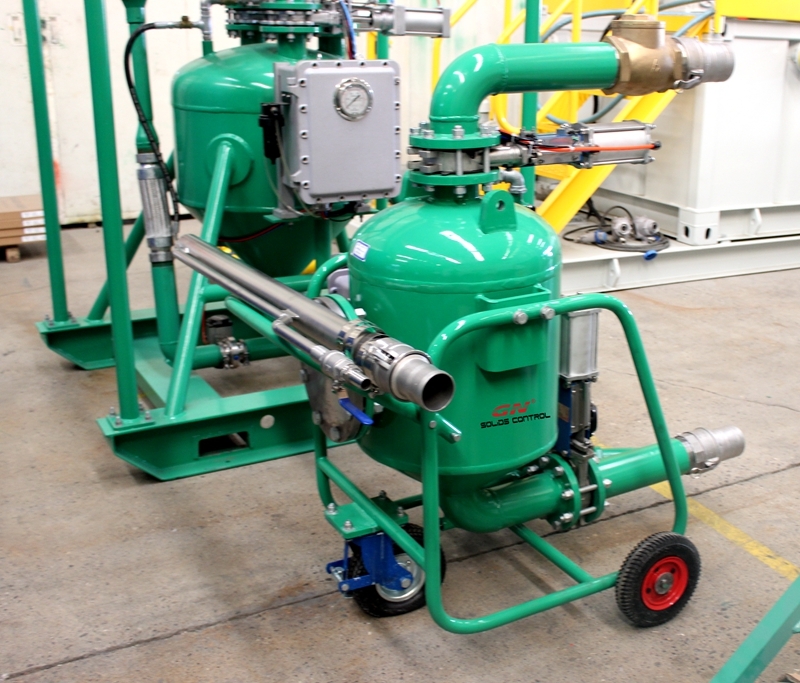 Some clients who are doing oil sludge treatment business use this vacuum pump to transfer the oily sludge from pit. It differs from different sources also, oily sludge from oil refinery, and Oil&gas Drilling Mud/Waste Oil Pit Mud. The current treatment of oily sludge and sewage sludge from oil refinery includes incineration and landfill. The former requires high cost while the latter cannot achieve pollution abatement radically. But by using a dehydration-drying-carbonization process to treat the toxic wastes, recycle oil and energy, and produce useful final products. This is a significant breakthrough in oily sludge treatment field. The random disposal of oily mud and waste from drilling and transportation on site without treatment cause permanent pollution to the soil and underground water. It’s extremely difficult to effectively treat this oily mud and waste because it is scattered around the vast oil field and its composition is very complex. Under the stricter and stricter environmental regulations in these years, oil producers are facing the urgency of permanently treat this notorious industrial “junk”. The reasons why some Chinese oil producers failed to solve the problems by applying imported technologies and equipment from abroad are the special domestic conditions and high cost. GN is nowadays also on progress of developing our own TDU, thermal desorption unit, contact GN for more if you want.